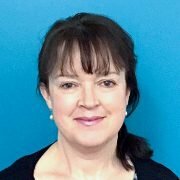 Dr Jane Mowll is an accredited mental health social worker with extensive experience in clinical health settings. She has over 16 years counselling and therapy experience in grief and bereavement, posttraumatic stress, anxiety, depression, adjustment disorders and interpersonal and stress related difficulties. Jane is experienced in providing grief counselling & therapy, particularly for people experiencing difficulties with bereavement, or complicated/ persistent grief. She has well-developed group work skills and is currently developing groups for people bereaved by sudden or unexpected loss. Jane also has an interest in health and well-being with a particular focus on supporting people with life limiting illness and their carers and families. Jane completed her PhD in 2011 (University of NSW) with current post-doctoral research interests in grief, posttraumatic stress, the needs of caregivers and families and personal growth. Jane has an open, warm and engaging style. She works in a person-centred way that is flexible and tailored in consultation with you to create a safe and trusting environment. Jane balances empathic support for the pain of loss and crisis while also fostering a sense of hope, personal growth and adjustment in living a meaningful life in the face of life changing loss or trauma. Jane has training in and utilises, interpersonal psychotherapy (IPT), cognitive behavioural therapy (CBT), acceptance and commitment therapy (ACT), meaning reconstruction, mindfulness (MBCT), psycho-education, relaxation strategies, strengths based perspectives and problem solving. Jane welcomes all enquiries and you can contact her for an obligation free discussion. Jane has a commitment to equity of access to health care and offers some bulk billing and reduced fees to eligible clients.